The nature of conflict has shifted from building understanding, connection and resolution between people to being in service, and pledging commitment to the grander evolutionary process, as nature “has its way” with humans experiencing conflict. This article analyzes Republican and Democratic 'bubbles" and how we can build bridges between them. This is an editorial on real time updates on where we stand on significant policy initiatives affecting the cross border mediation process and what both the ADR and business community should be briefed on. The vast majority of people still have confusions, if not difficulties, in having a clear representation of WHO a mediator is, WHAT is it that a mediator aims to achieve, for WHOM, WHAT he or she does, and maybe more importantly, IF, WHEN and WHY would someone benefit from using mediation and mediators. This article describes the benefits I see from taking Collaborative training. When I work with people to help them resolve their disputes, I often find that they are very preoccupied with finding fault and placing blame for what has happened to trigger the dispute. We spend a lot of our energies, time and emotion – clients and lawyers alike – looking backward at what happened and seeing who we can hold liable. Will the future of mediation be, as Woody Allen remarked, “much like the present, only longer”? Given what we know about human nature, systems, and the resistance of each to change, that’s perhaps the safest prediction. But it’s also a less than hopeful prognosis, because mediation has much to offer the future, far more than it has achieved at present. The author describes the pillars that have developed and appear to be the foundation of the Integrative Law movement and the emergence of a new legal system. 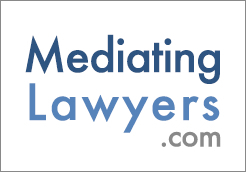 Many attorneys know and appreciate the benefits of mediation. Those who are familiar with the benefits of mediation readily propose and eagerly participate in it. However, should you encounter any resistance, how can it be addressed? This is kind of a chicken and egg situation. Which came first, the possibility of reconciliation or choosing to use the Collaborative process? The future of mediation and conflict resolution is the transpersonal. “Transpersonal” means a view of the person as more than their conscious mind. Was there ever an opportunity for peaceful resolution of this civil rights conflict? We see President Johnson acting at times a little bit like a mediator between King and Governor Wallace, but no real attempt was made at creating a dialogue that could resolve the dispute.